After four months, the long nights in (literally) freezing weather have finally paid off and we have habituated bat-eared foxes! This is awesome, but then it hit us, it’s that time of the year… The offspring start leaving the parents’ territory to find mates and establish their new home ranges. The daunting task of finding a 2.5kg bat-eared fox that can be anywhere on a 3 200 ha reserve was staring me squarely in the face. 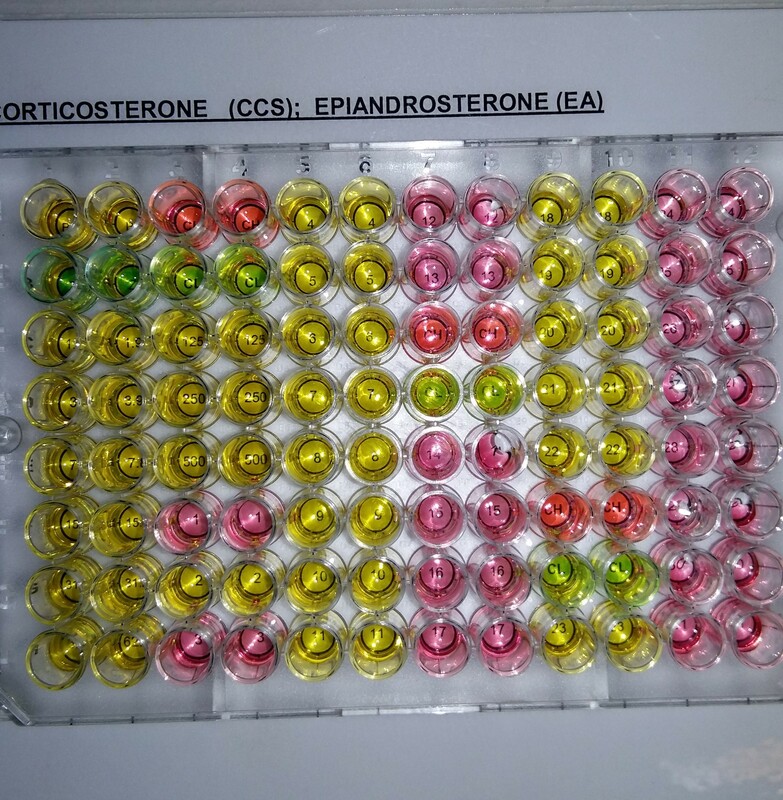 How am I going to do this? We managed to get seven radio-tracking collars and Brett, our vet, down to the Kalahari for a quick capture session. This trapping weekend was going to be a weekend of firsts. It was the first time we captured foxes without using the box traps. 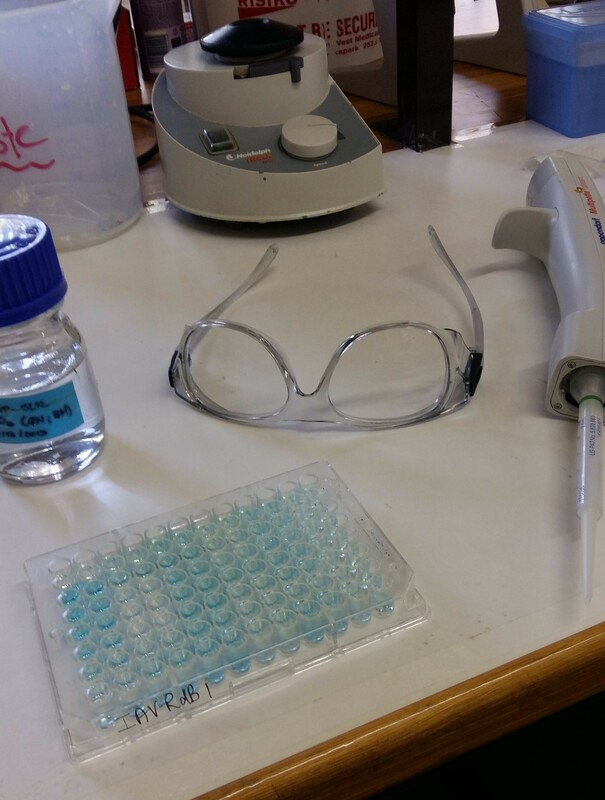 It was the first time we were attempting to dart a fox, and the first time we tried administering anaesthesia orally. We were not prepared for the excitement and disappointment that awaited us. The first night was very successful. The foxes were all in their usual spots and we managed to sedate and collar three individuals without any problems. 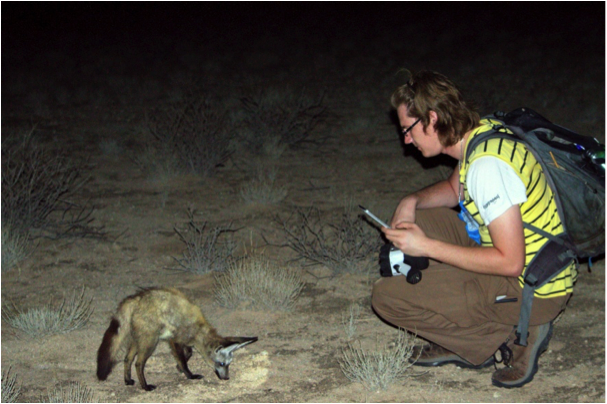 The following night we tried darting a male bat-eared fox. Success! Or not… The dart hit the fox in exactly the right spot, and everything went smoothly until we realized that after five minutes, when the animal should have been fast asleep already, we were still running after it. Jumping over driedoring shrubs, ducking under Acacia branches and side-stepping aardvark burrows in a way that would make any rugby coach proud to have us on his team, all not to lose sight of the soon-to-be-sleeping fox. I am sure my friend, Dave Seager, who’d joined us for the evening, did not expect such an adrenaline-filled experience. We finally did see the darted fox again, together with his three family members, foraging contentedly, definitely not sleeping. 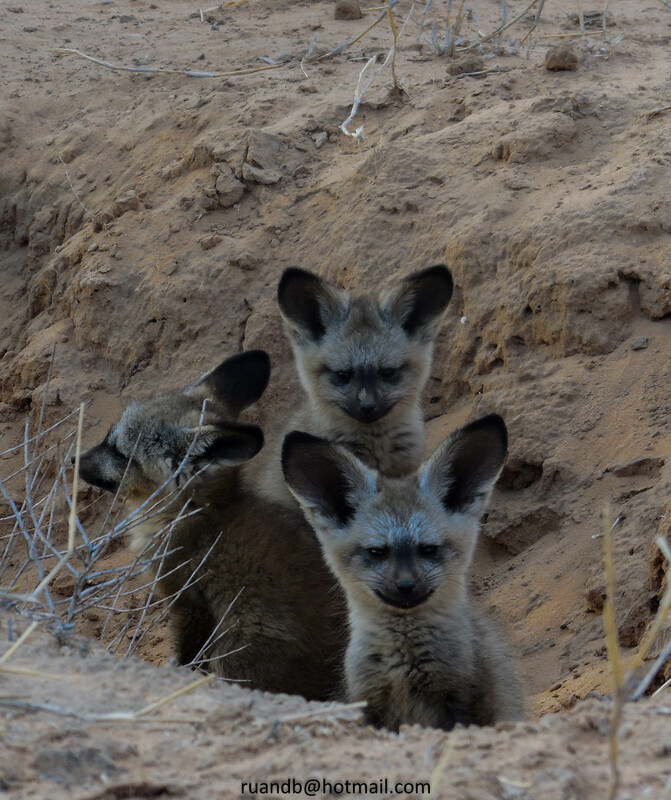 Clearly, darting is not the best option for capturing bat-eared foxes. We did learn how to effectively catch the foxes without traps that weekend, but only managed to fit four of the seven radio-collars. Tracking these four is also not as easy as you’d think, but that is a story for another time. 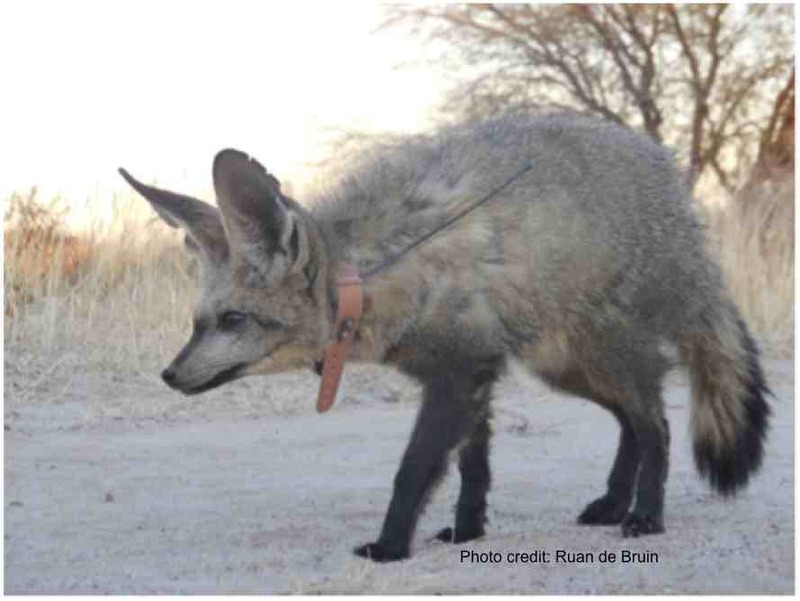 This entry was posted in bat-eared foxes, Kalahari, Otocyon, Ruan de Bruin, telemetry and tagged bat-eared fox, foxes, Otocyon, telemetry on July 25, 2014 by Ruan de Bruin.